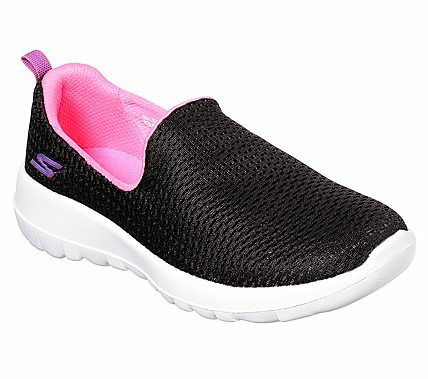 Make her strides much happier with the well cushioned comfort and sleek style of the Skechers GOwalk Joy - Joy Steps shoe. Features an advanced air mesh fabric upper with new Skechers Goga Max® insole for the most advanced walking experience ever. Bungee stretch laced design.